Although I occasionally love making complex, intricate creations in the kitchen, I usually crave simple and satisfying recipes. When creating recipes, I often challenge myself to dirty as few bowls and utensils as possible! 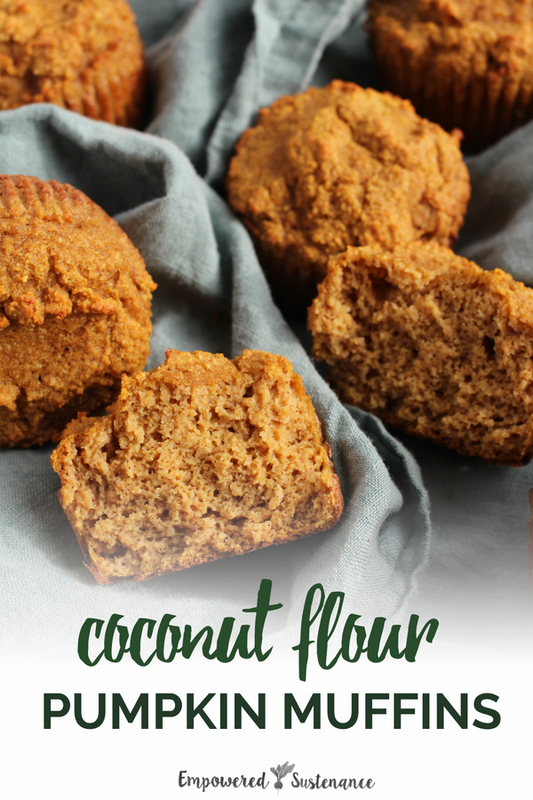 You’ll only need one bowl, one spatula, and a few measuring cups for these coconut flour pumpkin muffins… that means you can whip them up at a moments notice without leaving behind a train wreck in the kitchen. Can you say perfect Thanksgiving or Christmas breakfast? Feel free to use squash puree, mashed banana or probably even applesauce in place of the pumpkin. In the same way, you can change up the spices, add vanilla extract or use maple syrup instead of honey (if you aren’t on SCD or GAPS). 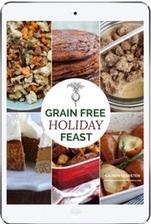 Take advantage of what is in your fridge or pantry to personalize the recipe. 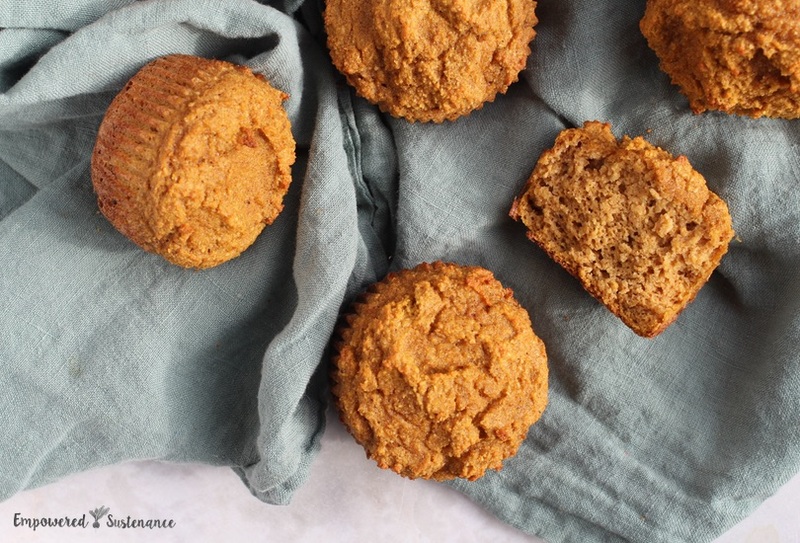 These coconut flour pumpkin muffins boast a moist, light texture… avoiding the dry and crumbly demise of many coconut flour baked goods. Stir together the coconut flour and eggs until a smooth paste forms. Stir in the coconut oil, then the pumpkin pureé and maple syrup. Then mix in the spices, cider vinegar and baking soda. Divide between prepared muffin pan. Bake for about 25 minutes, until golden and the top springs back when lightly pressed. These are sooo good! I’ve made your coconut flour brownies many times before (which are now my go-to recipe) and I’ll have to add these to my recipes as well! They taste just like fall, and I love how dense and delicious they are! My MIL is on a very strict AIP diet and cannot have eggs- anyone have luck substituting eggs? Thanks!